Just a quick heads-up for folks who have subscribed to my blog’s feed via my old Feedburner URL…I recently moved my blog to a new hosting platform, and in the process I have decided to discontinue the use of Feedburner for my feed. If you wish to continue receiving updates via RSS, please change your feed reader subscription to point to http://devhammer.net/feed/. Apologies for any inconvenience. Hi, my name is Andrew, and I have a problem. I sometimes overthink things…just a bit. If you share that tendency you may, like me, instinctively greet any issue you run into as an opportunity for deep analysis and troubleshooting, which may not always be the place to start. A case in point. I’ve been working on a project that uses Crystal Reports (yes, plenty of people still use that) in an ASP.NET Web Forms app to generate reports for a non-profit. I was tasked with creating several new reports, which was a pretty straightforward task, and seemed to be going smoothly, when I went to test the PDF version of a given report and the report viewer simply returned a bunch of gobbledygook text in the browser. 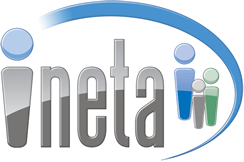 I received an email this morning announcing that INETA, after more than a decade of supporting .NET user groups, sponsoring speakers for those groups, and more, will be ceasing operations at the end of 2015. This weekend, I had the privilege of participating in my very first maker faire, the NoVA Mini Maker Faire, which was held in Reston, VA. I signed up for a booth which I called “Meet Gadgeteer: Reusable Modular Electronics” which was intended to highlight the advantages of the .NET Micro Framework and .NET Gadgeteer as a means of creating electronic prototypes and IoT devices. I created a rolling slide deck for the event, which I’ve embedded above. You can also download a copy using the link above.